If there is one thing that will warm up a kitchen (other than the oven) it’s bringing in color. 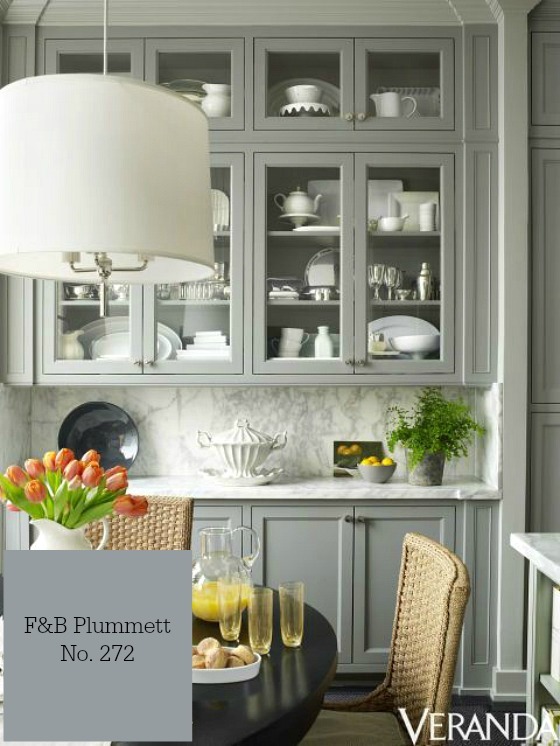 Once the hottest thing in design, white kitchens have given way to way to shades of gray. So when one of my favorite magazines asked for a quote about the perfect gray, I had to take a few days to think about it. Because I have not one but ten…and frankly how I arrived at one was less than scientific and more about having my daughter draw a name from a hat. I love the warmth of grays. Updated shades lend an air of timelessness and sophistication. 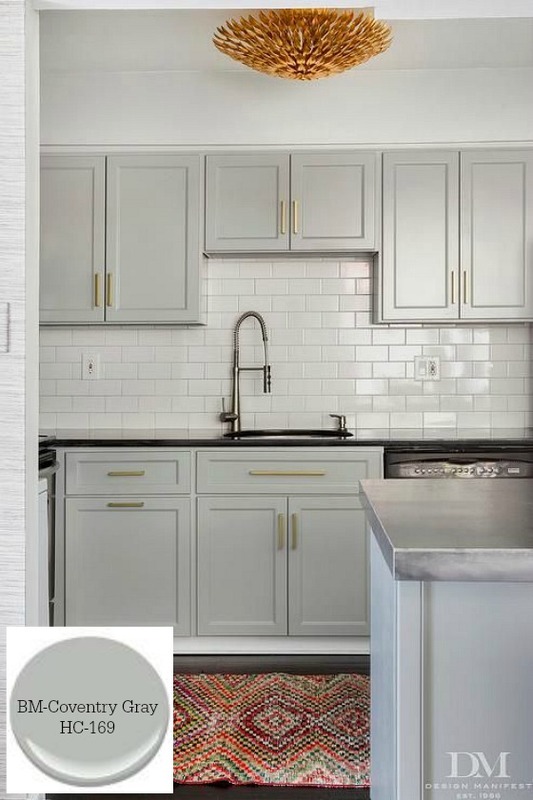 Grays pave the way for a variety of color combinations. 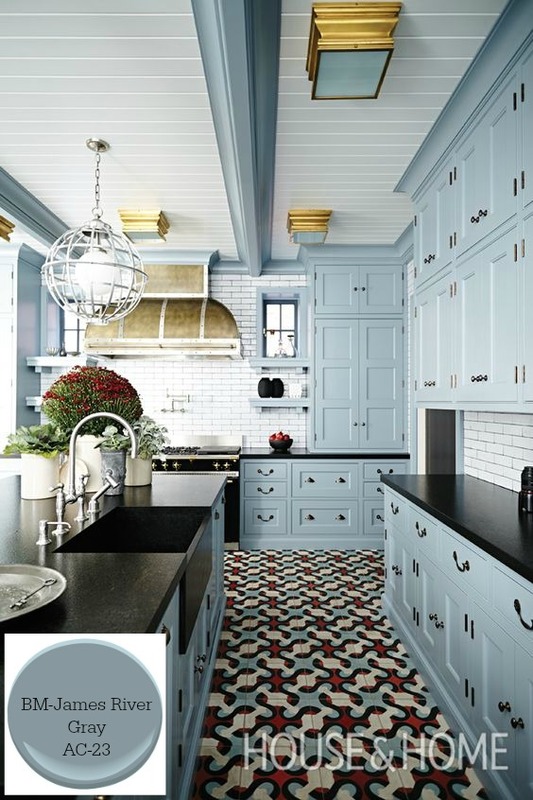 If you want to add energy to your kitchen, but don’t want to commit to a more vibrant color, then pick grays that appear more blue or green. Darker shades add richness. Lighter shades are a great foundation color. Gray’s are the chameleons of design, they reflect, absorb and change with the light. 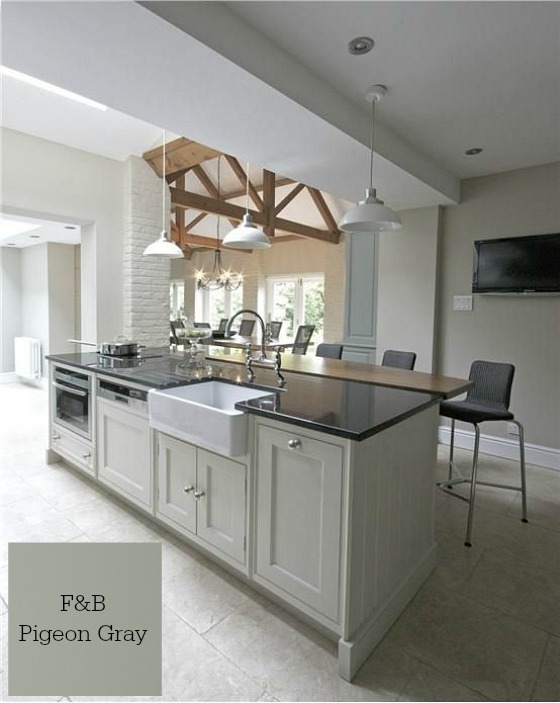 They are the greatest of all neutrals, radiating warmth and intimacy, making it the perfect choice for a kitchen. When I was a designer, I used grays often. Even at Casa B. our walls are painted shades of gray, forever changing throughout the day. In the morning, our walls appear blue and then change to a soft green in the afternoon light (BM-November Rain 2142-60). Always providing the perfect backdrop for the darker woods in our home. 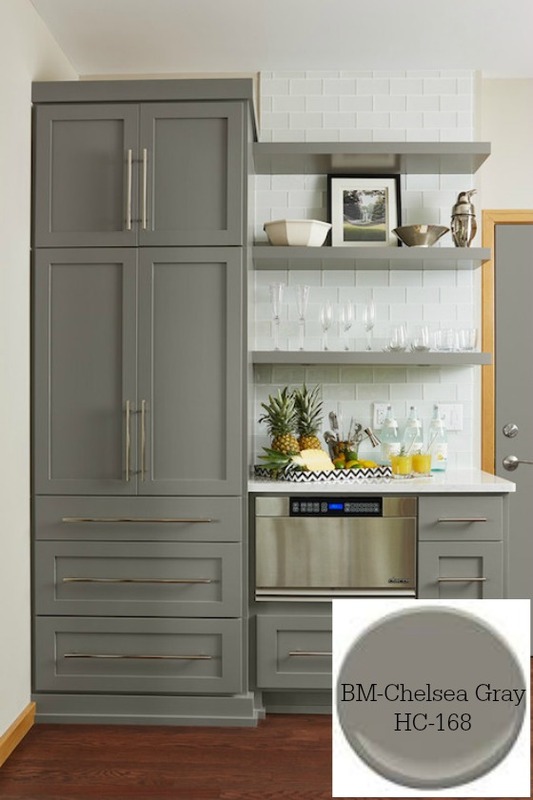 There are certainly hundreds of shades of gray available, and over the past few years, I think I’ve perfected my list. It wasn’t easy, but design never is! So here are my 10 favorite timeless grays…. 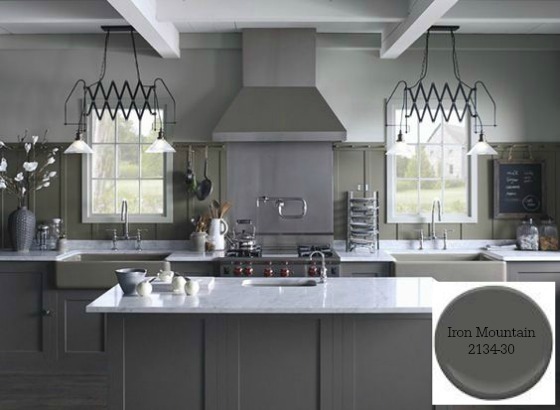 Manor House Gray is cooler, architectural gray which retains its color in all lights making it a perfect color for cabinetry with a lot of moldings and detail. I’m obsessed with the paint colors from Helen Turkington. They are refined, sophisticated and peaceful. Given the fact there are a million grays available, I love that she has narrowed down our choices to 36. With her impeccable taste, it’s easy to see why she’s earned the distinction of being one of the most influential designers in the UK. I love the depth of this gray which reads more sagey green than blue. It’s rich & classic, and it’s the perfect complement to darker furnishings or countertops. 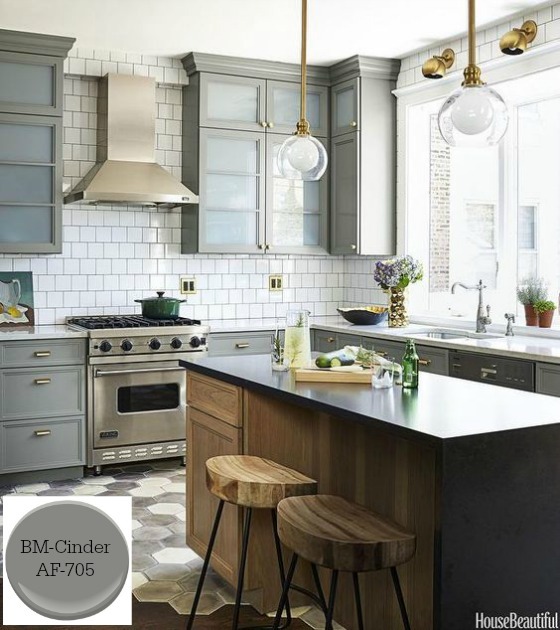 Chelsea Gray has brown undertones, making it a warm & sophisticated color. Against white moldings, it brings in a classic & clean look. 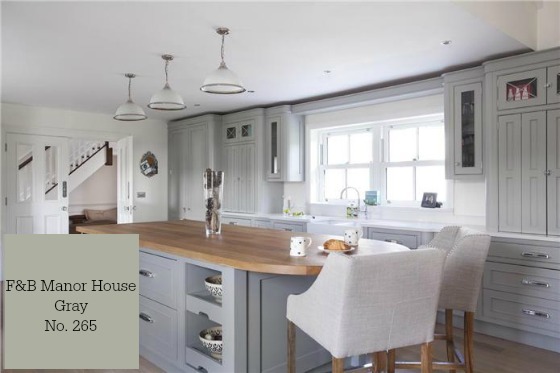 Coventry Gray has such an obvious blue undertone which makes it so modern. It can function as a neutral or a dash of color, making it versatile & fresh. Cinder is a true gray which means it doesn’t look too blue, green or brown. It’s the perfect color to define dramatic spaces…or warm up a room. 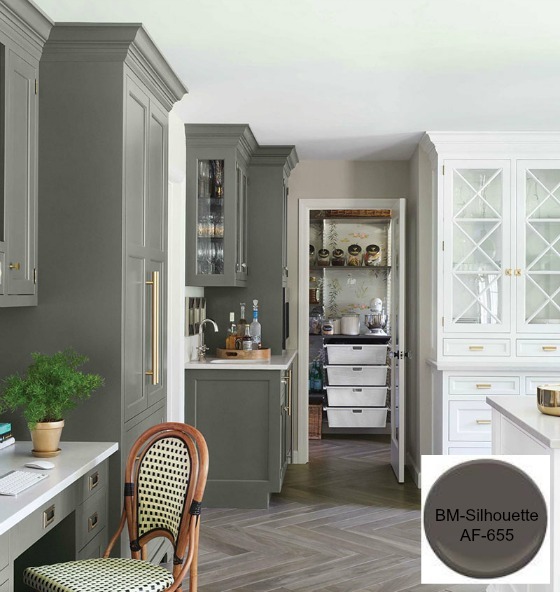 Red undertones make silhouette a sultry gray that can turn an unremarkable room into one that ranges from dramatic to lavish.. I hope you are inspired to paint your world in the perfect shade of gray!